> How can the contemporary way of living become more sustainable or resilient? > In which manner does the topic of hazardous waste and its cruciality concern our everyday life? > Can we expand the environmental agenda through science and art? > Can contemporary art and moving image sensitize their audience over issues of environmental protection? 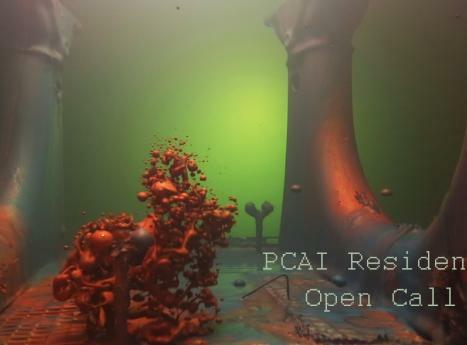 PCAI is excited to announce the launch of its Artist-in-Residence program focusing on the interaction between contemporary art and environmental consiousness. Believing that art is the best way to stimulate dialogue about sustainable thinking and the crucial matter of toxic waste PCAI invites artists from all over the world to reside for a week in Athens, get inspired and create a video work on the topic. During the residency the selected artist will be able to perform research, draw inspiration from local waste management sites and facilities, interact with scientists involved in the waste handling process, meet other Athens-based visual artists, curators and environmental experts and exchange ideas and opinions. The produced video work (max. duration 30') will be presented in exhibitions in Athens and abroad the forthcoming year.